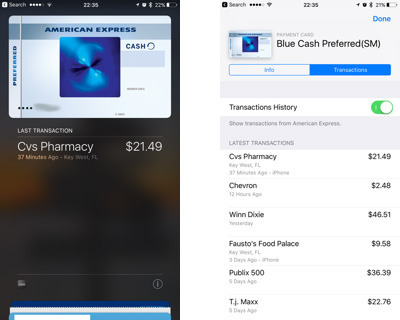 U.S. pharmacy chain CVS appears to be testing support for Apple Pay, although the company says it still has no official launch date, and is currently only "evaluating" mobile payment options. Accounts of miscellaneous CVS locations accepting Apple Pay transactions have occurred for about a month on Twitter, and a tip received by AppleInsider suggests transactions are working at a location in Key West, Fla.
CVS has also taken to Twitter, however, stating that it isn't officially accepting Apple Pay, or any other mobile payment platform based on NFC. "We are in the process of evaluating mobile payment options for our customers," the company said on Monday. CVS has lagged behind rivals Rite Aid and Walgreens in adding support. Upgrading a national chain for Apple Pay can be a major endeavor however, since a business must not only update its backend but invest in marketing and NFC-capable terminals. Smaller businesses can make use of cheaper Apple Pay-compatible readers tied to payment services like Square. Accordingly major merchant support for Apple Pay has grown much more slowly than bank and credit union compatibility. Even as the platform comes to countries like Singapore and Switzerland, many U.S. retailers that have pledged support —like Anthropologie, Chick-fil-A, Forever 21, and JCPenney —have yet to deliver.